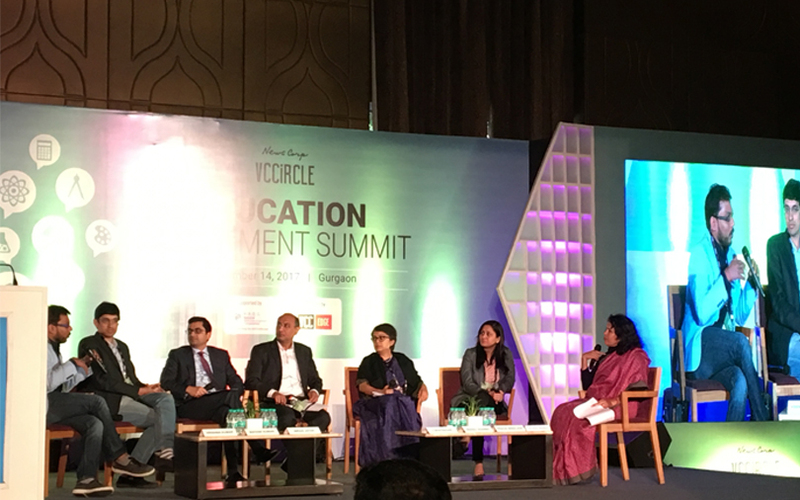 The notion that it is difficult to make money in the education sector is wrong but stakeholders in the space need to be patient, panellists at News Corp VCCircle Education Investment Summit said. “Any entrepreneur will tell you that there is money to be made in the education sector,” said Imran Jafar, general partner at mid-market private equity firm Gaja Capital. “But there is relatively less liquidity in the education space compared with some other sectors,” he said. This is against the backdrop of the number of education deals hitting a five-year low at 42 this year compared with 67 last year, according to VCCEdge, the data research platform of News Corp VCCircle. Deal value also fell sharply to $162.35 million this year from $304.36 million in 2016. To be sure, private investments overall have slowed down this year compared with last year. Referring to the drop in the deal volume, Prachi Jain Windlass, director-India education, Michael and Susan Dell Foundation (MSDF), said there are only a few investors in the country who understand the sector well. “Education is not entirely a B2C sector as it is perceived to be, which means slower growth but surer growth," Windlass said. The venture capital ecosystem is moving towards the sector and investors are beginning to understand the space. There is also a lot of scope for innovative financing in education space today, she said. Gaja Capital's Jafar said the education sector today is where the healthcare sector was 20 years ago and called for patience. Founders of investor-backed companies Simplilearn Solutions and UpGrad concurred on the need for patience in the business. Education is a high-gestation business, said Krishna Kumar, CEO, Simplilearn Solutions. The panellists also discussed the challenges to scale up the education businesses and provide customer satisfaction. Neeraj Sharma, MD and CEO, ‎Indian School Finance Company, a non-banking finance company that provides loans to different segments involved in the sector, said exits will be difficult for private equity investors if there is no scale. Exits have been few and far between in the space. This year saw Gaja Capital, one of the major investors in the education space, partly exiting CL Educate during the education services provider’s initial public offering (IPO). Consumers of education services should do their part for a more fulfilling experience, Simplilearn’s Kumar noted. "One of the biggest challenges is that student and professionals are willing to pay money but don’t want to work. Companies like us can only play a limited role (for customer satisfaction)," he said. It is important for education companies to focus on outcomes, MSDF’s Windlass said. Better outcomes can be in different forms including helping score good marks, she said.